Surrounded by scenic mountains, rugged trails, and fish-filled rivers, Bozeman, Montana, has become one of the state’s top destinations for outdoor adventure. While it would be easy to spend an entire week exploring this exciting corner of the state, it’s possible to fit a good bit of adventure into one action-packed day. The fact it gets light around 5 a.m. and dark around 10 p.m. on summer’s longest days certainly helps. Whether you want a day-long summit hike, a relaxing fly-fishing expedition, or a mix of biking and exploring downtown shops and restaurants, there are plenty of summer activities in Bozeman for everyone. Here are some suggestions to get you started on your adventure in this scenic mountain town. Before embarking on your trip, it’s important to fuel up in the morning. Bozeman is home to an array of breakfast places to get the day off to a good start. For a quick pick-me-up, head to Bozeman’s oldest coffee shop, the Daily Coffee Bar, located on the Montana State University Campus. Choose from a handcrafted coffee as well as fresh pastries. For a full breakfast, The Kountry Korner Cafe and the Red Chair Cafe and Bar both serve all the morning staples. Summer mornings are the perfect time to hit the trail for a run, hike, or bike. While afternoons can get hot, temperatures often cool considerably overnight, and if you’re early enough, you can enjoy a dew-laden hike through mountain meadows. The "M" Trail is a popular 1.7-mile loop with options for both easier and more challenging hikes. You’re likely to see trail runners and outdoor folks using this path at all hours of the day. Keep pushing onward and upward past the giant “M” marking the mountainside—the creation of Montana State students in 1915—and you’ll find additional trails crisscrossing the stunning Bridger Mountains. 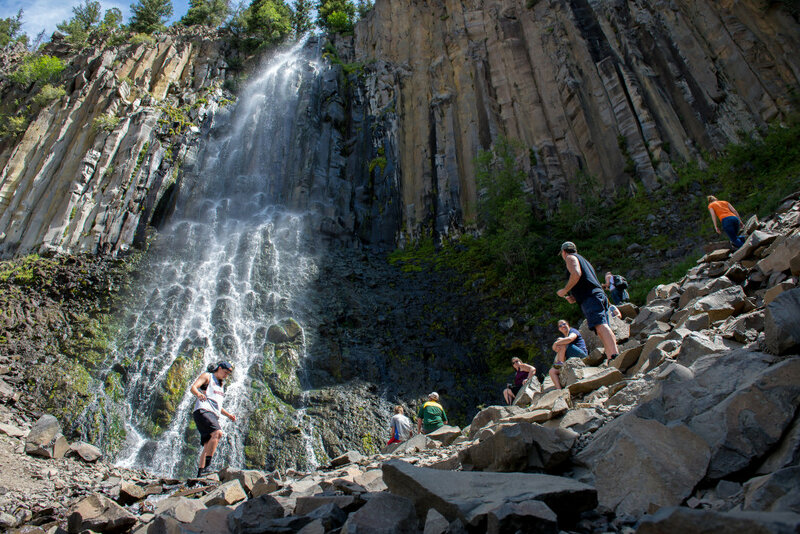 Just 18 miles south of Bozeman, Hyalite Canyon is home to a myriad of hikes and scenic drives. Stop at History Rock for a 2.8-mile out-and-back trail or cruise along the relaxing hike bordering Hyalite Reservoir and watch fly fishermen try to land a trout. Want to commit to a day-long adventure? Stock your backpack with plenty of food and water and head up Hyalite Peak. The 16.2-mile trail, rated difficult, leads past a small lake and gains an impressive 3,789 feet along the way. 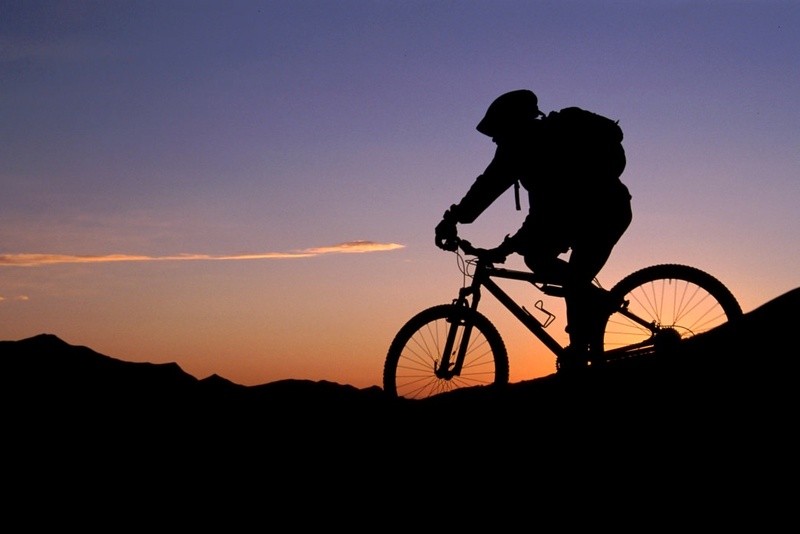 Hyalite trails are popular with mountain bikers—those who enjoy off-road riding will find plenty of options for all skill levels. Not in the mood for a hike? Bozeman is known in fly-fishing circles as a veritable paradise. Stop in one of the local fly shops for information, guide services, and equipment rentals. Fish don’t float your boat? The nearby Gallatin River offers stunning whitewater rafting opportunities for adventurers of all levels, and a float down the Madison River’s Bear Trap Canyon is a great way to spend a hot summer afternoon. Several outdoor shops in Bozeman rent tubes, stand-up paddleboards, and kayaks. If you’re up for more urban adventures, Bozeman is home to a thriving arts scene. Stroll from gallery to gallery downtown, taking in the creations of local and regional artists. Then pause for lunch at one of the many downtown restaurants. The Pour House Bar & Grill takes its pub food seriously, and you’ll be impressed with the execution. Pair it with a local brew and you’ve got a refreshing break in the middle of the day. Bozeman is home to its fair share of museums as well. The Museum of the Rockies features an impressive dinosaur display, while the Children’s Museum of Bozeman is a great option for those with younger kids. You’ll find a wide variety of hands-on exhibits and programs tailored to promote imaginative play. Highlights include a bubble wall and the 110-gallon aquarium with fish native to Montana. Dealing with some aching muscles after a day exploring? Thanks to the geothermal properties of southwest Montana, the region is home to a variety of hot springs. 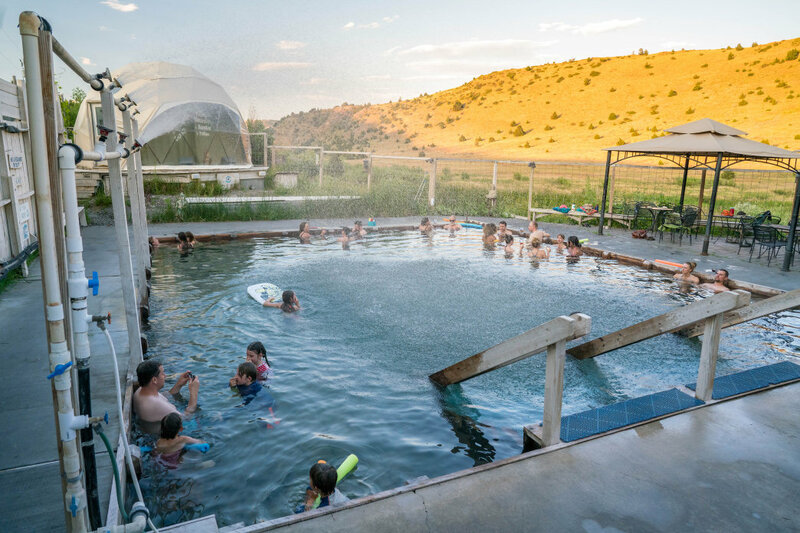 Bozeman Hot Springs and Norris Hot Springs both feature large, naturally fed spring pools and fun atmospheres. Chico Hot Springs, just south of nearby Livingston, is also home to natural hot springs and a bar that serves up plenty of hearty fare. Head back to downtown Bozeman for dinner, drinks, and people-watching. Enjoy both craft beer and craft pizza at Bridger Brewing. The spacious taproom features the brewery’s regular offerings—like the Lee Metcalf Pale Ale and Ghost Town Coffee Stout—as well as a rotating selection of seasonal styles and creative offerings. Fiesta Mexicana is the go-to place for authentic south-of-the-border fare. The restaurant is known for its chili rellenos, as well as its wide selection burritos, fajitas, steaks, and seafood—they will all hit the spot after a day outside. The Oba Cafe offers Brazilian cuisine, while Rice offers fine Thai dining. And for a taste of home cookin’, try Roost Fried Chicken, which will impress you with its signature fried chicken, biscuits, collard greens, and other southern favorites. After dinner, stroll downtown and stop for a drink at one of the many vibrant bars, and enjoy a late-night sunset underneath the Big Sky. Is a day enough time to explore all that Bozeman has to offer? Not by a long shot, but you can create a memorable experience no matter how long you have to visit.